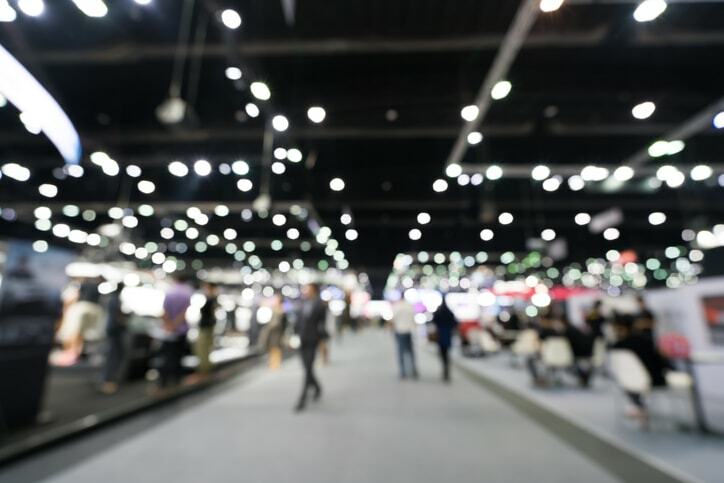 Are you involved in the event production business? If so, this article is for you. More and more event producers are choosing to live stream their events online, in real-time. In this blog, we’re going to take a look at the live event streaming solution market. Live streaming makes sense for events of all sizes. Whether your event has 20 attendees or 200,000, live video streaming can boost your audience and increase engagement among your target audience. Some event producers have the mistaken idea that streaming will reduce in-person attendance. However, data has shown the opposite. 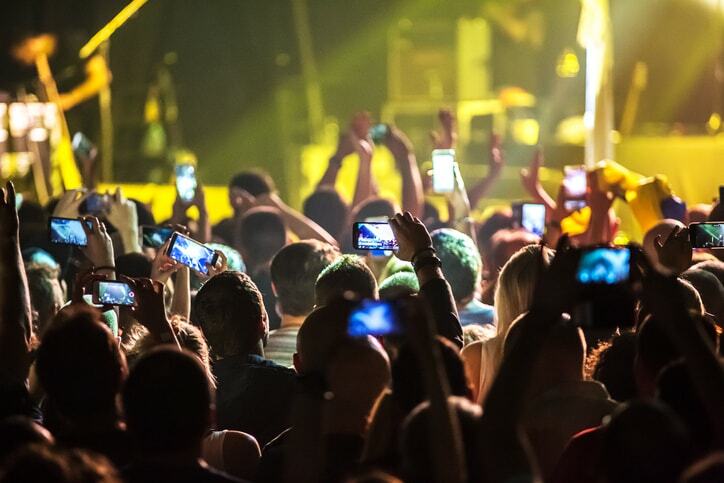 In fact, 67% of live video viewers are more likely to buy a ticket to a concert or event after watching a live video of that event or a similar one. For annual events, 30 percent will attend in person the next year. Live streaming makes sense for events of all sizes. This blog will share more detail on live event streaming solutions. Especially, we’ll look at the importance of 24/7 customer support for event producers. Before we start, do not miss our unique, limited time offer: try our new monthly Premium plan and get 2000 GB of streaming data, 200 GB of storage, and 24/7 customer support at no extra cost along with ALL DaCast features for just $79. Sign up for DaCast and you’re good to go ! When you’re hosting an event, you can’t afford problems. You don’t want a scenario like what happened to IBM when a critical live broadcast experienced total failure. That’s why we advocate for thorough testing before events. However, problems can still arise. And what if your event is on the weekend, or early morning or late evening compared to the business hours of your streaming service? Are you just out of luck? For event producers, access to rapid tech support 24/7 for their live streams is essential. It can be tempting to rely on free live streaming platforms like Facebook and YouTube to stream your events. But these platforms have major drawbacks. For one, customer support is entirely non-existent. Responses can take a long time, or you may only have access to online FAQs and forums—but no phone support, and no 24/7 support. These live streaming solutions also don’t include many of the essential features that event producers require. We’ll look at those features now. Now, let’s move on and look at some of the top video streaming platforms on the market today. 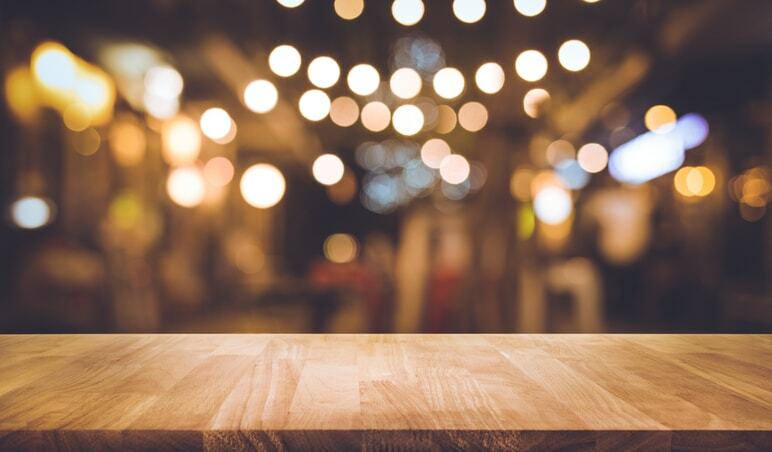 We’re going to look at a few different elements of these platforms—features and options that are especially relevant for event production companies. This includes customer support of course but also analytics, to help you understand your audience and track trends. Monetization is also important for generating revenue from events. Similarly, security features are essential for event producers who need to prevent privacy and restrict access to content. White label video services allow you to use your own (or clients’) branding. API access smooths custom development and integrations. And of course, cost should play a role in any business decisions. With these factors in mind, let’s take a look at five of the top live event streaming solution providers. First, let’s take a look at Livestream. Like our other platforms highlighted here, Livestream provides on-demand hosting and live streaming. Analytics are provided starting $75 per month (but billed annually; otherwise it is $199 month-to-month). No mention of 24/7 support, it seems you get phone support during their business hours when you pay $999 otherwise you get emails with an answering time that an take up to 2 days. Monetization is supported on Livestream’s Enterprise plans, starting at $999/month. Advertising is supported on these plans as well. Security features are basic for the low end plans. Advanced privacy, embed restrictions, and password protection are added at the Enterprise ($999/month) Plan level. Similarly, white label branding control and API access are only included on the Enterprise Plan and custom plans costing $999/month and up. Following Vimeo’s acquisition of Livestream, they launched a video live streaming solution that is similar to Livestream’s Premium plan : $75 per month billed annually with some streaming features but not enough for high quality professional live broadcasting. Next, let’s take a look at the IBM Cloud Video live event streaming solution. This online video platform, formerly known as UStream, provides some good functionality for streaming events. Phone support is available on all plans, but only during business hours. Basic analytics are included on the IBM Cloud Video Silver plan ($99/month). Advanced analytics are added the the Gold plan ($499/month) level. Monetization isn’t included in the platform, however. Security options include basic password protection on the Silver Plan. Embed restrictions are added with the Gold Plan, and extended with the Platinum Plan, which also includes a private channel URL. White label is included at the Platinum Plan level. API access is available only with custom Enterprise plans. Silver Plan ($99/month): 100 viewer-hours, 50 GB storage, IBM branding, video embed. Gold Plan ($499/month): 2,000 viewer-hours, 250 GB storage, co-branding, analytics. Platinum Plan ($999/month): 5,000 viewer-hours, 500 GB storage, white label. The third live video streaming solution we’ll examine here is called Brightcove. Brightcove is aimed mainly at large marketing companies and enterprises looking for a video portal and platform. Their primary product is called Video Cloud. Various analytics tools are included with Brightcove. Monetization is also included via a paywall (with higher level plans). Various security features are available as well starting with the Enterprise Communications Plan ($499/month). White label service is available at all plan levels. A number of different video APIs are included as well, but only on Enterprise Plans costing more than $499/month. Marketing Plans ($199/month and up): Video portal, social sharing, CRM integrations, basic analytics, 50-200 videos and up. These plans do not include live streaming. Enterprise Communications Plans ($499/month and up): These plans add live streaming functionality, advanced security options, single sign-on, more analytics, API access, and so on. Fourth, let’s examine Ooyala. Ooyala is a live event streaming solution with a wide range of modules and solutions for different needs. They provide a range of tools. Let’s dive into these now. When it comes to analytics, Ooyala has great functionality. This includes their “heatmap,” which shows which parts of a video are most popular. As for monetization, the service focuses on advertising but does support other methods as well. Security features of the Ooyala platform include DRM support and some ability to limit the number of streams per user account. The platform is fully white label. As far as API access, Ooyala provides a number of APIs to access various parts of the platform. Ooyala’s cost isn’t published online. Reviews state that prices start at about $500 a month and rise from there. Finally, let’s examine our own live event streaming solution. DaCast provides robust functionality for live events: all streams are delivered via the ultra-fast Akamai CDN (Content Distribution Network) and you get 24/7 customer support at ALL plan levels. DaCast’s security features include IP address/geographic whitelists, URL/domain restrictions, password protection, tokenized access, and more. Every plan on the DaCast platform is fully white label. Like monetization, API access is included on the Premium Plan ($125/month) and up. Enterprise Plan ($289/month): 5 TB bandwidth, 500 GB storage, all above features plus reduced bandwidth costs. Larger custom plans are also available. Event pricing is also available, where you purchase access to a set amount of bandwidth which is good for 12 months (down to 6 cents per GB). This model makes more financial sense for those producing one-time or annual events. Here at DaCast, we have a lot experience with live streaming events. If you have any questions, we can probably help no matter what issues you’re experiencing. So get in touch! For exclusive offers and regular live streaming tips, join our LinkedIn group. Interested in giving our live event streaming solution a try? Why not take advantage of our free 30-day trial (no credit card required). You can try out all the DaCast features for yourself to see if it’s a good fit for you! Any questions? Let us know by leaving a comment below! Thanks for reading, and good luck with your live streams.